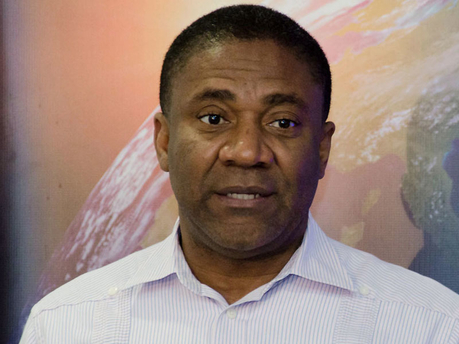 The Government has approved the acquisition of Columbus Communications by Cable & Wireless Communications (CWC), but Science, Technology, Energy and Mining Minister Phillip Paulwell is asserting that he was able to achieve major concessions for consumers in return for the approval. CWC Chairman Phil Bentley had announced in November of last year that the company would be purchasing Columbus Communications, which operates subscriber television and broadband services in nine Caribbean territories, for approximately US$3 billion. While conceding there was little the Government could do to block the multibillion-dollar merger, Paulwell was quick to point out that CWC had agreed to a number of provisions that would benefit consumers over time. “The law is quite clear how an application like that is to be dealt with, and it doesn’t give the minister a lot of room. It says the minister shall approve such application once the OUR (Office of Utilities Regulation) is satisfied with certain basic things,” stressed Paulwell. Paulwell said included in those concessions were commitments for CWC to preserve access to Flow’s undersea fibre cables, LIME poles, as well as other broadband entry points to the country to Digicel and other competitors. He added that LIME had also acceded to the demand that it be ready for number portability by May 31 of this year. Paulwell said these concessions would not only ensure that customers receive the best value, but would also encourage new players to enter the market, which could ultimately, drive down the high cost of Internet connectivity in the island.